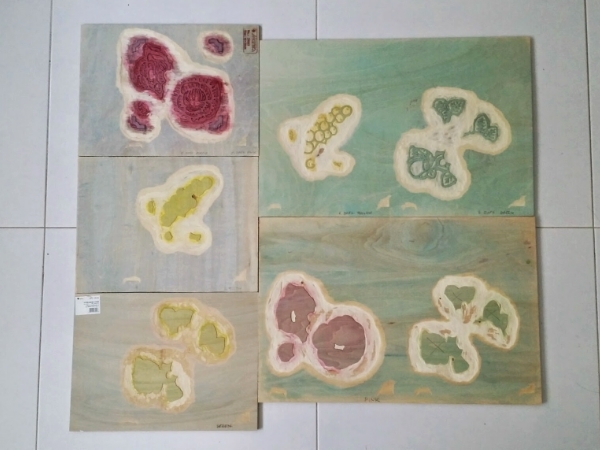 The Tile Trade series is based on my research into antique tiles found in Singapore and nearby. 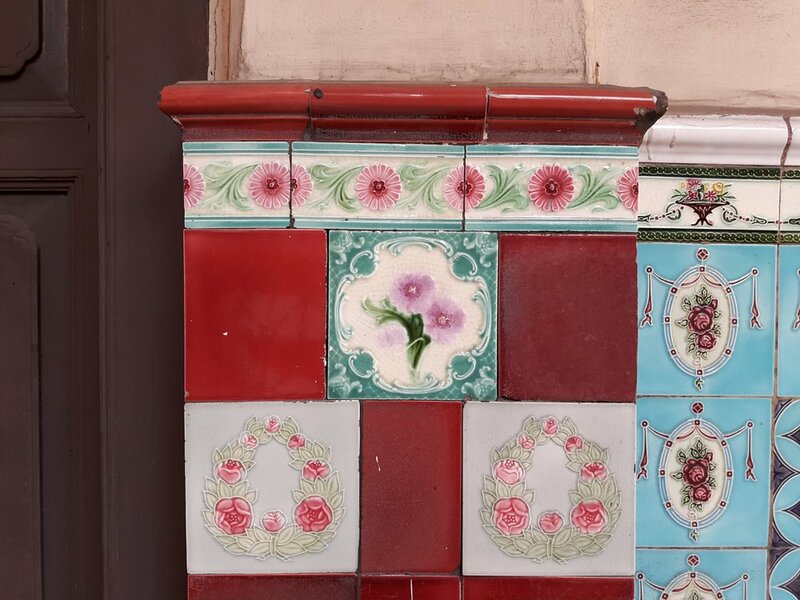 After discovering similar tiles on a family property in Singapore, I became interested in the origins, styles and use of these beautiful reminders of the past. Wealth & Luck is a limited-edition of Japanese woodblock prints. It was inspired by early 20th century export tiles found on many Chinese Peranakan homes in Singapore. Local tile experts in Singapore told me that about 100 years ago artists were sent to Japan to create custom-made wall tiles for the eclectic tastes of this hybrid community. The tiles featured fruit, flowers and animals considered auspicious in Chinese culture. Peonies 牡丹 (mudan) are often used to symbolise richness, happiness and success. Loquat 枇杷 (pipa) is considered lucky or a sign of good fortune as the fruit ripens in early spring. With my personal connections to Singapore and Japan, I found it fascinating to learn about this ancient story of cross-cultural customisation and collaboration. Each artwork was printed by hand using hand-carved timber blocks, watercolour pigments, a bamboo baren and Japanese washi paper. Seven timber blocks were used in this print. See some of the steps from the Japanese woodblock process used to create this print. Antique tiles are an elegant reminder of bygone days and can still be found in some places around Singapore and nearby countries. Created mainly in the UK, Belgium and Japan, they were an effective and decorative means to protect walls and floors in the region's tropical environment.